If you are a frequent visitor to our site we suggest you hit the "refresh" button from time to time as we add information to our site several times a week. The recent ITEX business agreement with Simply Hired--the world's largest search engine for jobs (with 5 million listings)--will provide a real value to any business desiring to place job listings and employment opportunities in the business marketplace. The cost for a 150-character, 30-day listing is available for $10 ITEX. In the marketplace Craigslist charges $25 per day, per listing. And prices vary from $450 to $275 for similar advertising on Monster.com, CareerBuilders.com and HotJobs.com. For additional information on ITEX Jobs, see the second article following "From the desk of Bob Meyer..."
"It's hard to organically build distribution." --Anne Mulcahy, CEO Xerox Corp.
Why are acquisitions so commonplace in the business world? Because it is hard to organically build distribution. Thus, Xerox is looking to jump-start anemic sales growth by buying an office-machines distributor, Global Imaging Systems. Ms. Mulcahy says the $1.5 billion acquisition will help get Xerox into the small- and medium-business market, where it presently has no chance to bid on about 80% of all deals. The licensing of ideas prior to a product-form has been the strategy of both Hollywood and Silicon Valley, as they leverage licensing rights for new ideas in dozens of different ways (which subsequently build revenue streams). Now General Mills, maker of Hamburger Helper, is following suit by turning to celebrity chef Mario Batali (of Food Network fame) and licensing two frozen pasta dinners developed by Batali. Two years ago General Mills decided to move outside its own research-and-development group by forming a worldwide "innovation network." Employees began collecting names of scientists to call when facing technological challenges; they also began attending international inventor fairs/trade shows in search of new products to buy or license. Wine exports, mostly from California, soared 30% in value and 4% in volume in 2006...with California generating 95% of the total. In Europe, where the U.S. makes more than half of its foreign sales, exports surged 48% in value. In comparison, Canada's increased 29%. Due to the growing business and to reduce freight costs of shipping bottles, a growing number of producers have begun to ship their finished wine to Europe in tanks for bottling and distribution. There's also a trend toward using special wine names and labels to appeal to European buyers. The Wine Institute also reported huge potential in Asia. Sales to Singapore soared 68% by value last year, Hong Kong rose 19%, and China jumped 53%. Current Global Listing. . .
International Monetary Systems (OTCBB:INLM), one of the largest publicly traded barter companies in the world, continues to expand its locations...serving more than 16,000 customers (24,000 cardholders) in 44 markets across North America. In their 2006 annual report they reported the processing of more than $72 million in sales-only trade transactions. Revenue generated from these transactions totaled $8,782,666, an increase of 42%. 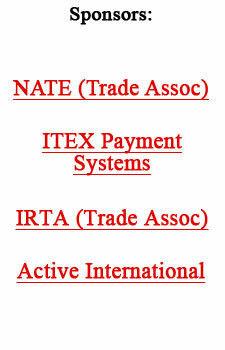 IMS also acquired five trade exchanges, including North America's largest independent barter system, Illinois Trade Association, along with its corporate barter division National Trade Association. Total assets nearly doubled, increasing by 92% and book value nearly tripled, increasing by 271%. This was due to $4 million in equity investments from a hedge fund, which was used to finance the five acquisitions and retire long-term debt with financial institutions. Despite dramatic increases in gross revenue, operating income and operating cash flows, IMS still experienced a net loss. This was chiefly due to non-cash adjustments for depreciation, amortization, and partial impairment of membership lists in specific markets. The company incurred significant income tax expense despite the net loss, primarily due to the difference in accounting and tax treatments of intangible assets and goodwill. ITEX Corporation (OTCBB:ITEX) has partnered with Simply Hired to launch an electronic job listing board called ITEX Jobs. Preferred Payment Plan (3P) members will be able to list job postings and have these listings distributed throughout Simply Hired's network...including high traffic sites such as LinkedIn, My Space, and the recently launched Job-a-matic publisher network at www.jobamatic.com. 3P members will be able to participate in this program for the low price of 10-ITEX dollars. Members will be offered this service at a substantial discount from what other businesses must pay for in cash "some as high as $495 per listing" on other popular job listing services or in their local newspapers. "The goal is to provide real value in areas we believe help small businesses be successful.," stated Steven White, Chairman and CEO. "We believe that by lowering the cost of hiring we can help to substantially boost our ITEX (member) businesses' profitability." The firm is expanding the services it provides its members to include recommended vendors, to assist them in operating their business. "Where we are unable to provide a vendor in our electronic barter system, we will team up with a leading company to provide discounts, personalized service, and added value," White clarified. The Executive Privileges Program leverages the bargaining power of the 22,000 member ITEX businesses, to derive benefits that individual member businesses would be unable to obtain on their own. "We look forward to working with ITEX to bring their members additional value," Gautam Godhwani, CEO of Simply Hired, declared, "whether they are looking to hire employees for their business or seeking to find their dream job." Simply Hired has been lauded as one of the “50 Coolest Websites 2005" by Time Magazine, declared "Best of the Web" by Business Week, and celebrated as one of “50 Best New Websites" by PC World. The company has raised $17.7 million in funding from News Corporation's Fox Interactive Media, Foundation Capital, Garage Technology Ventures, and individual investors. Simply Hired, www.simplyhired.com, is privately held and based in Mountain View (CA). Headquartered in Bellevue (WA), ITEX processes more than $250 million a year in transactions through 22,000 member businesses that are managed by 95 franchisees and licensees. For more information go to www.itex.com, or e-mail alan@itex.com. The average fast-food chain store--McDonald's, Wendy's, Burger King--does approximately $1 million annually per location. Interestingly, a Starbucks Coffee store does about the same numbers. According to Starbucks Corporation, an average outlet is around 1,600 square feet, and costs about $390,000 to open. With first-year sales, which will come in at around $900,000, the sales-to-investment ratio is 2.3 to one. Their stores take two to three years to reach full sales strength. According to a report by eMarketer, U.S. customers spent $79 billion on online travel last year. And the research firm predicts that spending in this category will grow at around 17% a year for the next five years, totaling $146 billion by 2010. One of the most notable recent changes is the explosion of social networking sites, where people can share information and itineraries, post travel blogs, and upload videos of their trips. The report disclosed that online travel agencies are facing increasing pressure, as consumers who use social networks now offer fellow travelers their own advice and recommendations. And that's in addition to the pricing pressure from airlines and hotels, which sell directly to consumers from their own web sites. Travel providers, such as online agencies Expedia and Travelocity, will have to be more creative in their packages the report concluded...and be able to move from a service model based on mass consumption, to one centered on creating customized packages for groups of travelers with unique interests and needs." The highly fragmented barter business -- a cashless transaction where one trades a product or service for another -- is set for a sea change in India with Bartercard, the world's largest exchange, announcing its foray in the country. The Bartercard operations license has been given to Indian businessmen Rakesh Thapar and Ashoka Bhanwarlal Motha. Recruitment of the management team has begun and training of personnel will commence in May for India's operations. Bartercard Chairman Wayne Sharpe pointed out, "India is a huge market with great potential and we are delighted to have made this license sale. We are actively looking to increase Bartercard's presence further in Asian countries." For more information on Bartercard see: www.Bartercard.com. Trade exchange owners are invited to e-mail bmeyer@barternews.com for more information on how you can become “the exchange of choice" in your area. When e-mailing Bob Meyer, put “Law of Reciprocity" in the subject line. Your hotel's annual AV billings must be a minimum of $200,000, and this offer is available only in the continental United States. Ever wondered if a certain topic, person, or organization has been written about on the Barternews.com web site? Now you can easily find out, as we've added a search tool. It will quickly give you the answer to your questions, in 3 easy steps that take about 12 seconds! There are many forms of secondary capital--which can be defined as any financial instrument that measures and communicates value in a common language. Would you like to see and learn more about the many forms of secondary capital? We have 70 free, informative and inspiring, articles for you in our “Secondary Capital Section." Check it out... www.barternews.com/secondary_capital.htm.